It’s just not Independence Day if you don’t make something red, white, and blue. 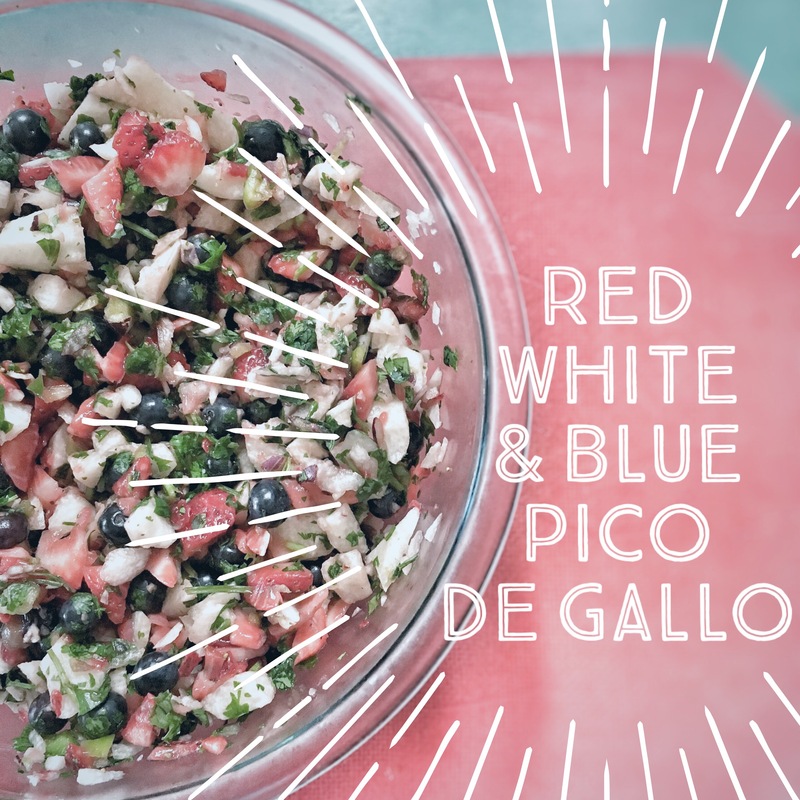 I scoured Pinterest, looking for a healthy patriotic dish that wasn’t a dessert. 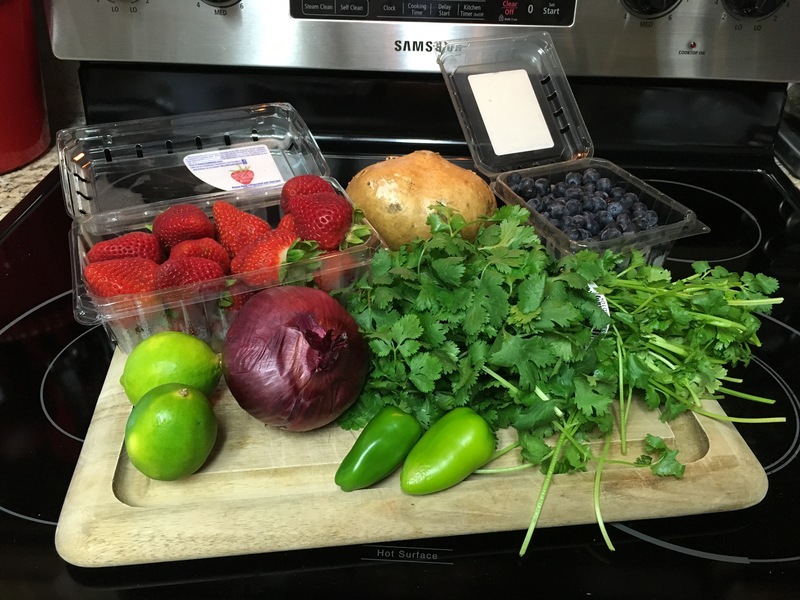 I happened upon this recipe for Blueberry, Strawberry & Jicama Salsa by Maria and Josh of Two Peas and Their Pod. It immediately jumped out at me because of how different it is. And, I’ll admit, I was a Jicama virgin until today but I’m loving its crunchy texture. I didn’t follow the exact recipe above because it is Independence Day and I am free to do things my way. Or, more likely, I just didn’t want to follow their exact measurements. Mix everything in a large bowl. Serve either cold or room temperature. 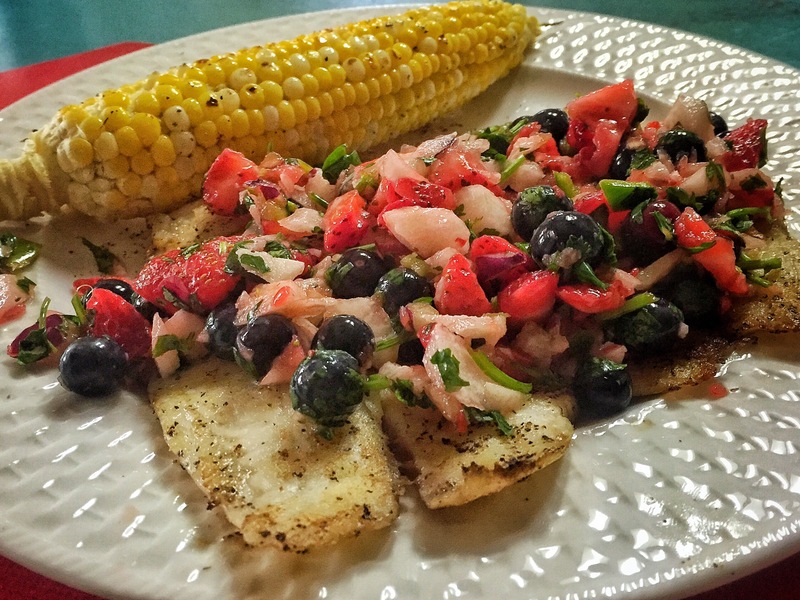 It’s great with chips but I paired it with pan-fried tilapia and grilled corn on the cob. Garen really liked it and so did I. 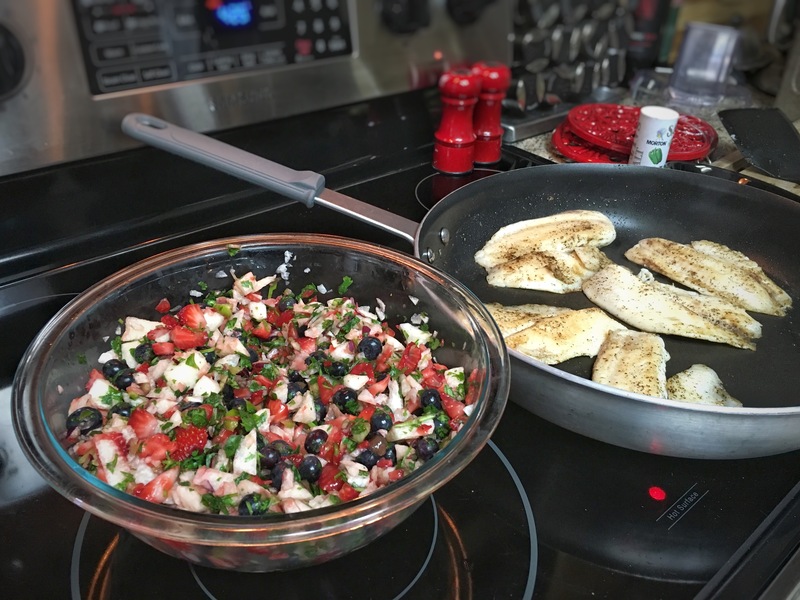 He said that the cilantro, pepper and lime offset the sweetness of the fruit very well. He even liked it with fish, even though he’s not a huge fish fan. He requested it for dinner tomorrow night so it must be good.